BAM members at the Advocate level ($125) and above are eligible to join Collectors Forum (CF). 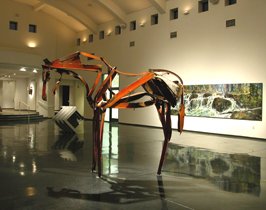 BAM offers three membership options–Contemporary Art Circle, Northwest Art Circle, and American Art Circle–each of which supports BAM’s Permanent Collection in a unique way. Annual dues range from $400-$800 for individuals and $800-$1600 for couples. Details» Dues directly support BAM’s Permanent Collection and CF programs/events. Members gather for exclusive programs each year, from artist lectures to exhibition previews, as well as an annual holiday party.